This is the X Page of our A to Z guide to plants -- how to care for them, landscaping with them, and cooking and healing with them. This is a term often thought to apply only in desert or dry areas where there is an obvious shortage of water. But it can be applied wisely in all types of climates. In what was our part of the Caribbean, Montserrat, in the West Indies, we received many inches of rainfall each year and much of the island is green year round. However, add just a few days of hot sunshine without rain and plants began to suffer. We transformed our gardens establishing terraces and rainfall catching areas that allowed the rainfall we received to soak into the ground rather than running quickly off to sea. 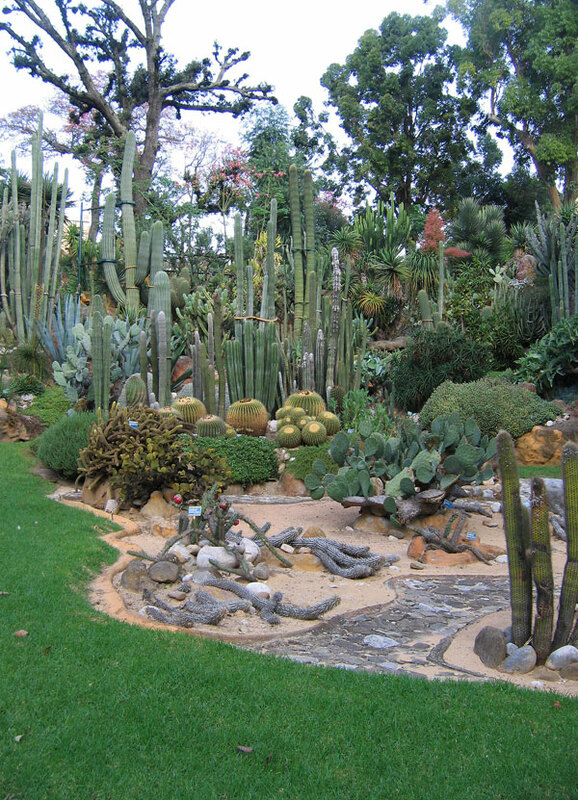 We also established cactus gardens in areas that benefit from being kept dry as a termite preventative such as around our foundation. 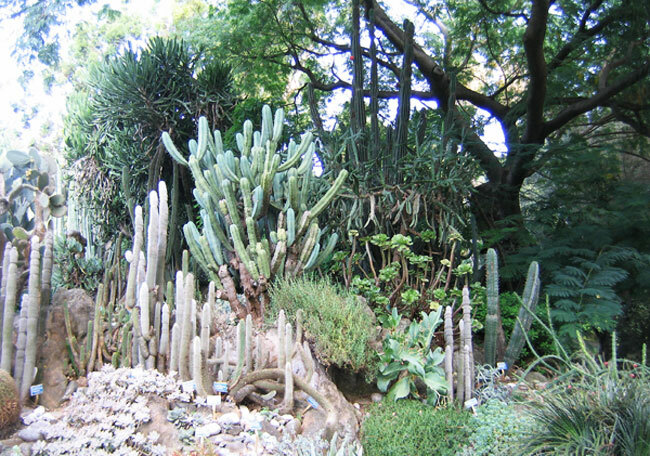 Below are photographs taken in the Ortobotanico (Botanical Garden) in Naples, Italy. The climate there is not overly hot, but it does seem to have long dry periods. In late fall, around late October, the garden staff install covered cactus protection for the winter season. I don't honestly know if that is their season of heavy rain or maybe winter is just too cold. 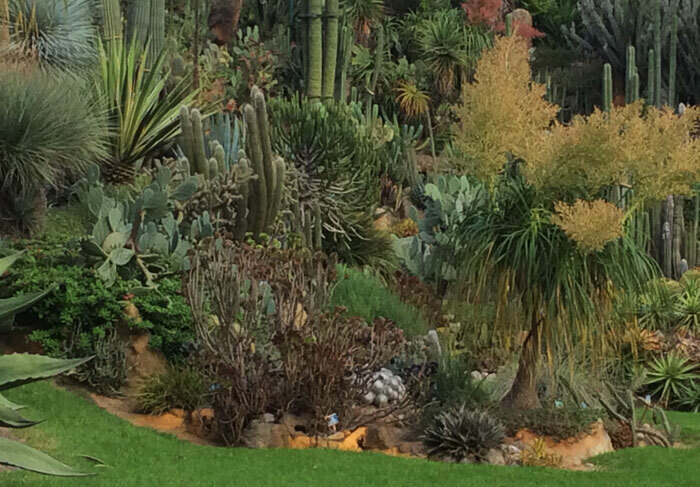 We recently visited a small, but exquisite cactus garden in Guatiza, Lanzarote, Canary Islands, Spain. It was called the Jardin de Cactus and they weren't kidding. 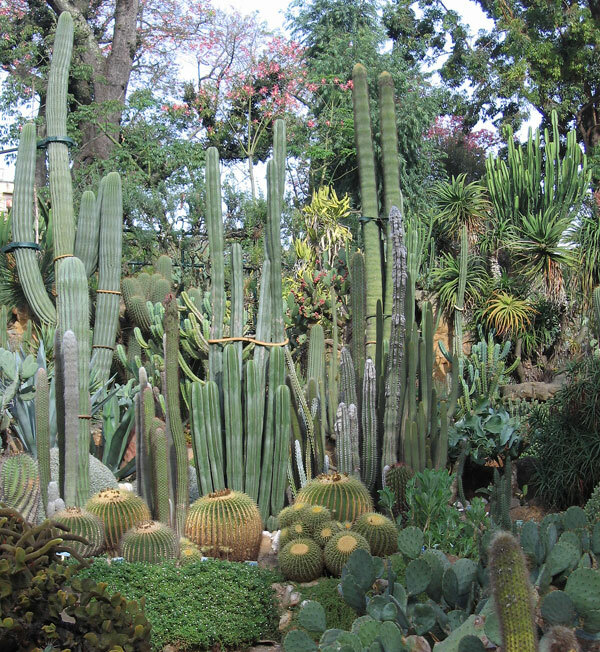 Take a look at the setting by clicking here Jardin de Cactus. 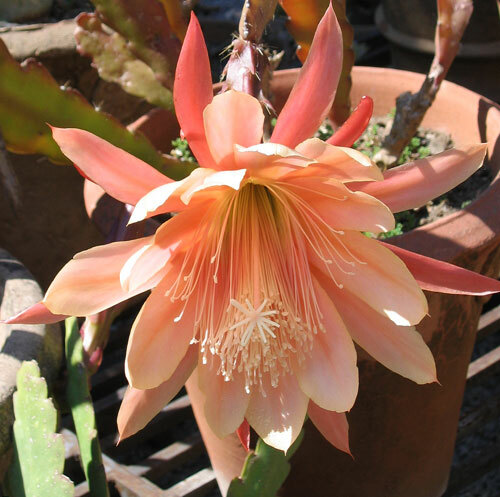 If you are thinking of putting together a xeriscape garden, please do check out my page by clicking on the Cactus Page, the Succulents Page, as well as the Cactus and Succulent Mysteries Page to get some ideas of the plants that are attractive to you. Xeriscape gardens may at first seem a little alien to folks who have never lived in or maybe even visited a deep desert area, but they do grow on you if I am any example. In the photograph to the left you can see some of the extraordinary colors, shapes and textures that may be combined to please or even stun the eyes. In this photograph you will see how one area of dry garden plants can be incorporated into a more standard garden with big green trees and plants. Notice the use of sand as a growing medium and the border of nice green grass to set it all off as if in a framed picture. 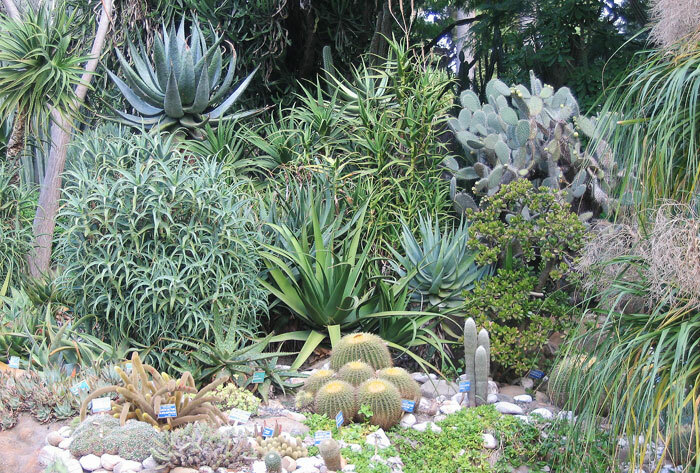 In the photograph below you see an extensive use of aloes and other succulents along with cactus. It makes for an easy and beautiful garden to manage and a delightful combination of plants that will withstand drought. I think this photograph shows off just how many sizes and shapes of plants fall into this "desert" group -- fat and round, tall and tree like, columnar and big fat paddles. Here are yet more ideas for including plants of all shapes and sizes, but all of the same color hue. The options are endless and all endlessly enjoyable.